This year celebrates the 175th anniversary of when the Spanish Flag was first recognized by the Royal Decree of 1843, signed by Isabel II. 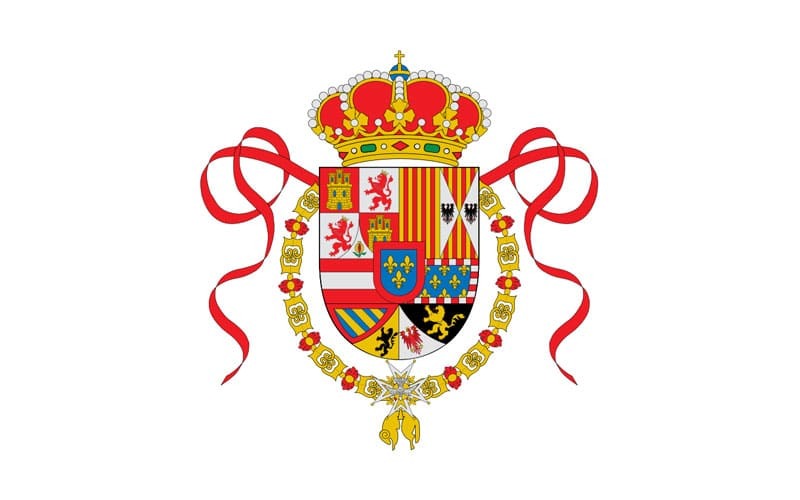 This regulation converted the standard bicolor with a crest in the center into what we know today as the Spanish flag. Although is has been with us for 175 years, many do not know its history. In fact, according to a survey by the 1785 Project, 55% of Spaniards do not know the origin of the flag. The history of the Spanish flag is tied to the rule of Carlos III. The king recognized the necessity to create a national sign that distinguishes itself at sea among the other flags. Up until then, the Spanish flag was white and bore the crest of the Bourbons. The problem was that the other kingdoms of the same era, like Parma, Naples, France, Tuscany, or Sicily, in addition to Great Britain, also used a white background. This made it almost impossible to distinguish friends from enemies from a distant ship. For this reason, Carlos III ordered his Ministry of the Navy, Antonio Valdés and Fernández Bazán, to create a new flag for naval use. Valdés called for a design competition, from which he chose the twelve designs that he liked the most. He then presented them to Carlos III to make the final decision. And here, in 1785, began the history of the Spanish flag. King Carlos III selected the designs; one for the navy and one for merchant ships. For both uses he chose red and yellow because they are both colors that can be easily distinguished from the sea. The first consisted of two red strips and one yellow, which we know today as the Spanish flag. The second had three yellow stripes and two red. 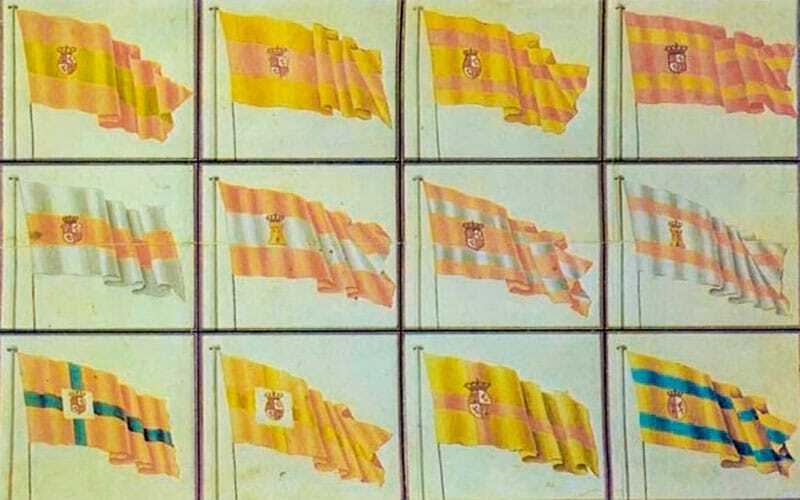 However, we cannot talk about the history of the Spanish flag until 1843. In this year Isabel II signed the Royal Decree that converted the flag of red and yellow into the national symbol. Although this decision was tremendously popular, in those days, every branch of the military had a flag of its own. Isabel II decided to unify them, and from that moment on, the colors red and yellow have stayed constant up to modern times, except for the period of the Second Republic (1931-1936). 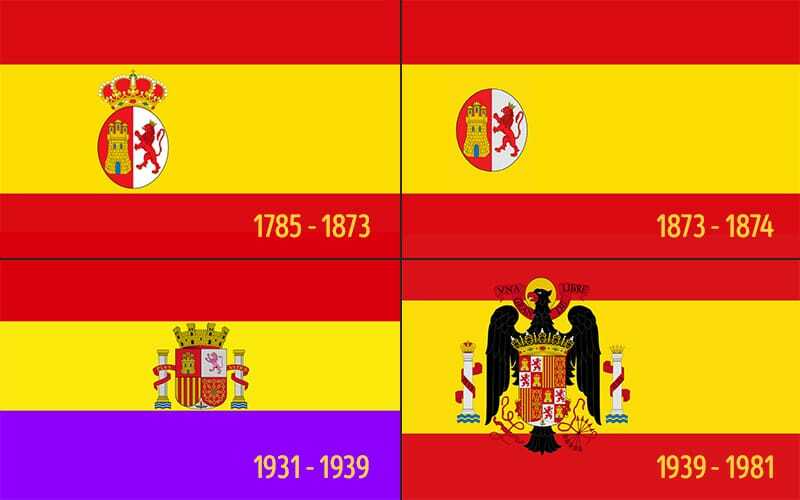 During this period, they changed the red of the lower stripe to purple to pay homage to the Comuneros de Castilla who fought against Carlos I. Although there is much written about this, it cannot be proved that purple was the color of the Comuneros, but it has been proven that burgundy was their color. The first change in the history of the Spanish flag began with Carlos III himself. The monarch exchanged the crest of the Bourbons for one formed by a castle to the left and a lion on the right. Above these he placed a crown. The flag remained like this until the First Republic (1873-1874), where the only change made was the elimination of the crown in the crest, although this modification only lasted a year. Later on, in the Second Republic (1931-1939), in addition to the color switch from red to purple, the crest was changed completely. He added the realms of Aragón, Granada, and Navarra, substituting the crown for a castle in the area above the crest. They also included the two columns of Hercules with the words “Plus Ultra,” which means “Más allá” (above and beyond). But then the Guerra Civil (civil war) erupted and the insurgent side (the winners at the end), retook the duality of red and yellow and returned to modifying the crest. What is known as the Franco flag eliminated the castle that sat atop the crest and switched it with a crown. In addition, he included the eagle of San Juan, as homage to the Catholic kings. 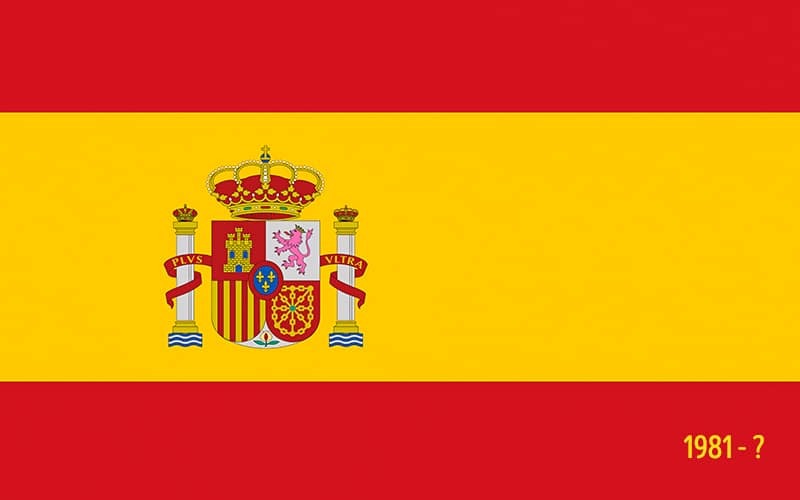 Did you know the history of the Spanish flag? Want to tell us what you think? Tell us in the comments!